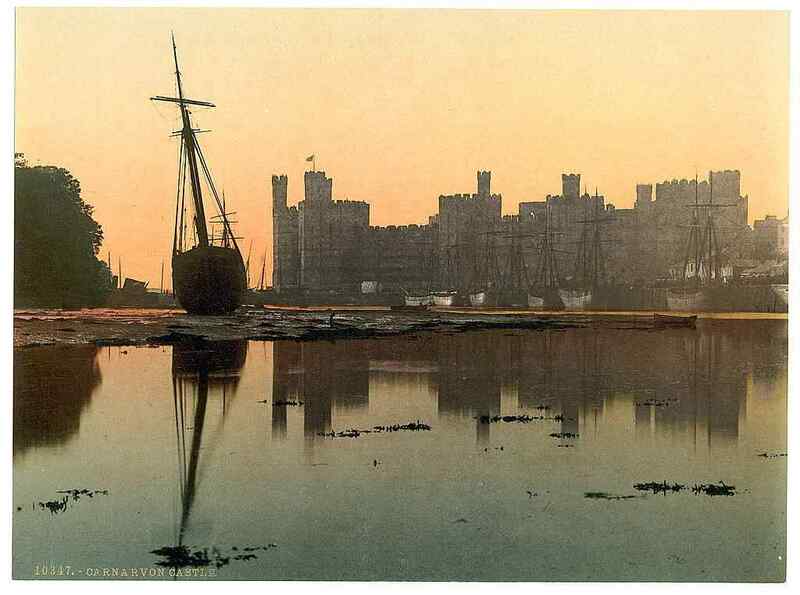 Caernarfon in North Wales is widely known for two main reasons; it is the home of what is undoubtedly the finest of all King Edward I's castles, and it is where male heirs to the throne of England are invested as Prince of Wales. The last person to receive this honour was Prince Charles, at his investiture in 1969. 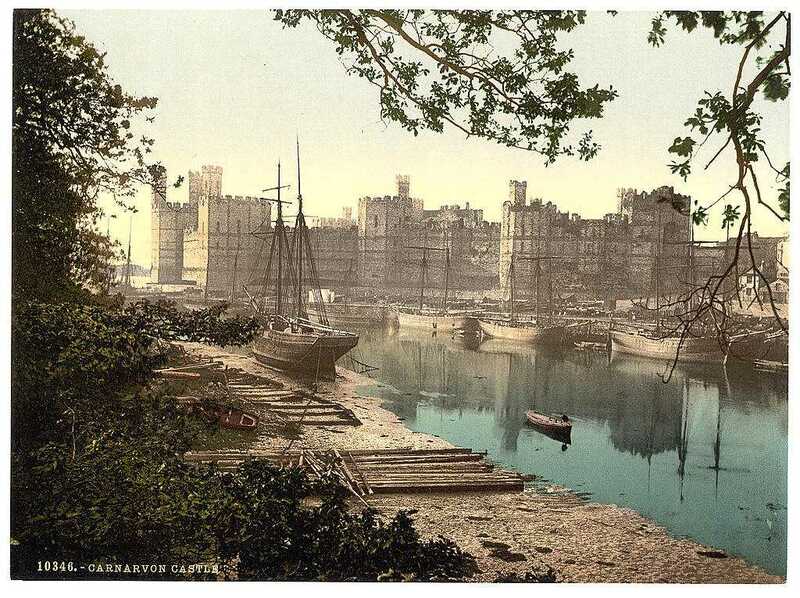 Caernarfon, located strategically at one end of the Menai Straits, was just a short distance across the Strait from the Anglesey town of Beaumaris, and thus made Anglesey easily accessible . The Romans placed their main fort near here named Segontium, and built circa 80ad, which they occupied for over 3 centuries. Their choice of location was for the same reason, that was to be able to keep control not only of Caernarvonshire, but also of Anglesey. The word Caer in welsh means fort, and normally signifies the location of a fortress or stronghold, normally of Roman origin. Prior to the building of Edward I's castle, which was started in 1283, there had been a Motte and Bailey defence system designed by the Norman - Hugh of Avranches - in the late 11th century. 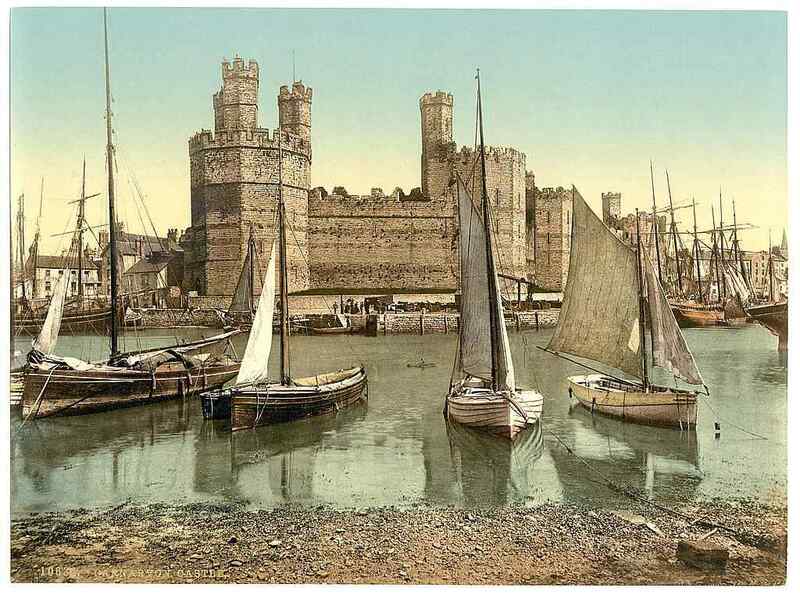 The Welsh won the castle from the Normans 25 years later (1115), and remained in control of it until Edward's army invaded North Wales.